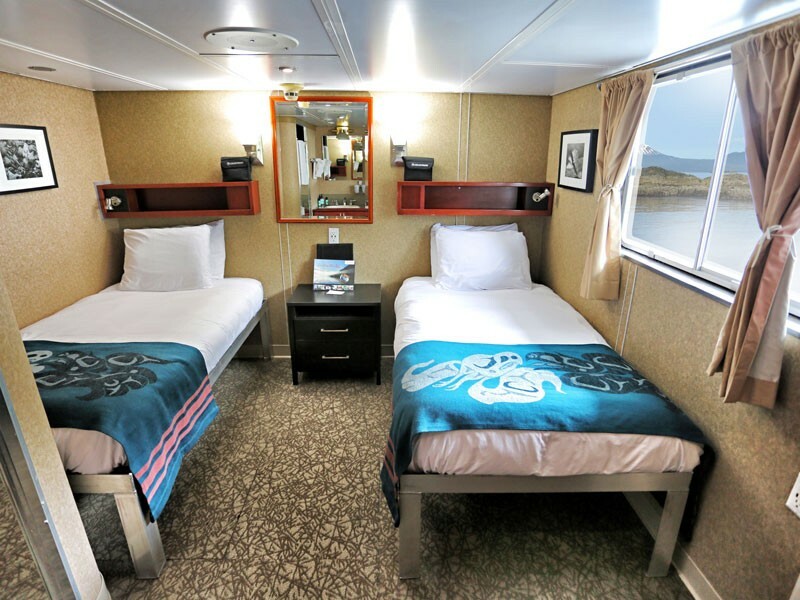 Upscale Inside Passage cruise exploring Glacier Bay National Park & Alaska's Southeast Coast. 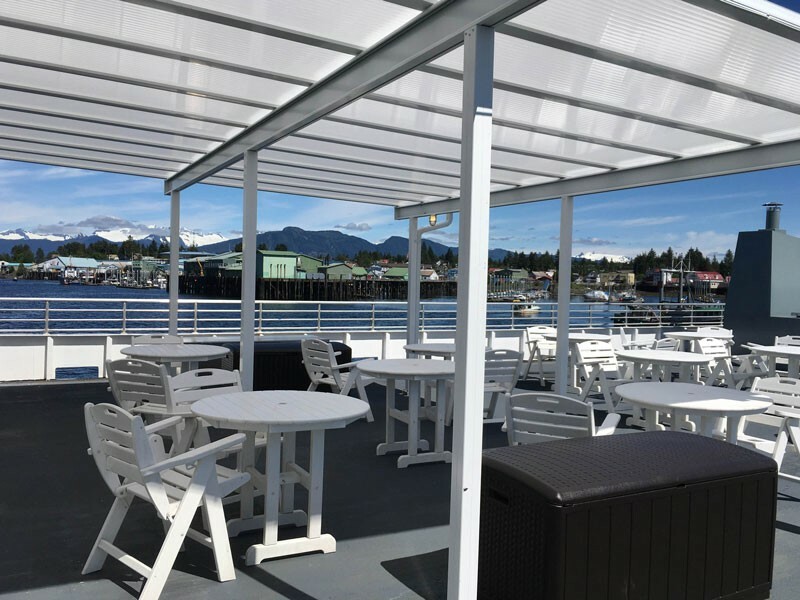 Day 1 Sitka, Alaska - Embarkation Explore beautiful Sitka, the only community in Southeast Alaska that faces the open ocean waters of the Gulf of Alaska. Visit fascinating historical sites that highlight the community’s rich Alaska Native and Russian history, including the Sheldon Jackson Museum, Russian Bishop’s House, and St. Michael’s Cathedral. 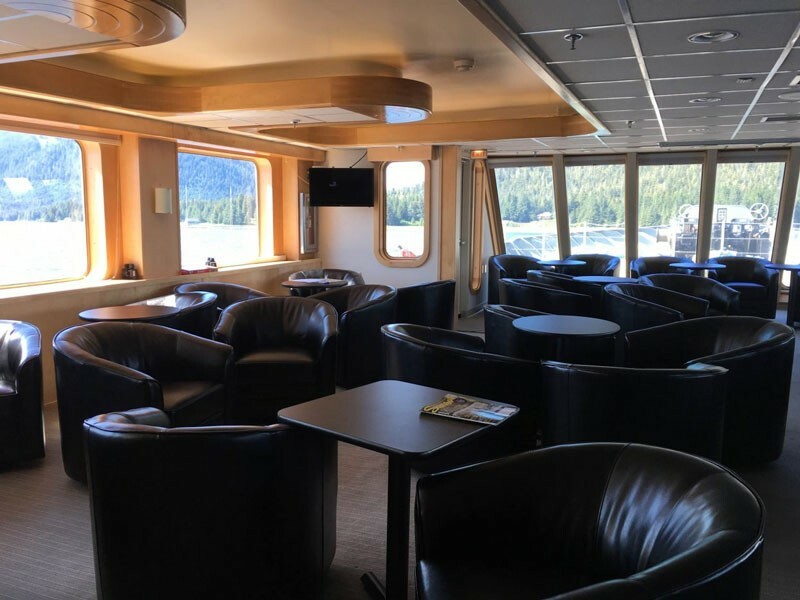 Embark for the winding narrows north of town while searching for bald eagles, sea otters, bears, whales, and other wildlife. Day 2 Wilderness Bay & Kake Enjoy kayak and DIB (shallow water expedition craft) exploration in northern Kuiu Island’s Saginaw Bay. Beachcomb or hike along the beautiful secluded coastline of the area, where marine fossils are sometimes found. View the world’s tallest totem pole, a carving demonstration, and experience the intriguing culture of the Tlingit in the Native village of Kake. Day 3 Petersburg Discover the charming Mitkof Island fishing town of Petersburg. Founded by Norwegian fishermen in the late 1800s, Petersburg is nicknamed Alaska’s “Little Norway.” Experience this Scandinavian culture with a folk dance show by local youth at the iconic Sons of Norway Hall. Later, enjoy a narrated bus tour and take time to explore the vibrant community at your own leisure. Day 4 Frederick Sound Scout for humpback whales and other marine mammals in Frederick Sound. Humpbacks are famous for behavior that lends itself to incredible viewing and photography, such as tail lobbing, lunge feeding, pectoral slapping, breaching, and picturesque dives that showcase their massive flukes. Enjoy an exciting afternoon of Alaska adventure in a wilderness bay for skiff excursions, kayaking, and hiking. 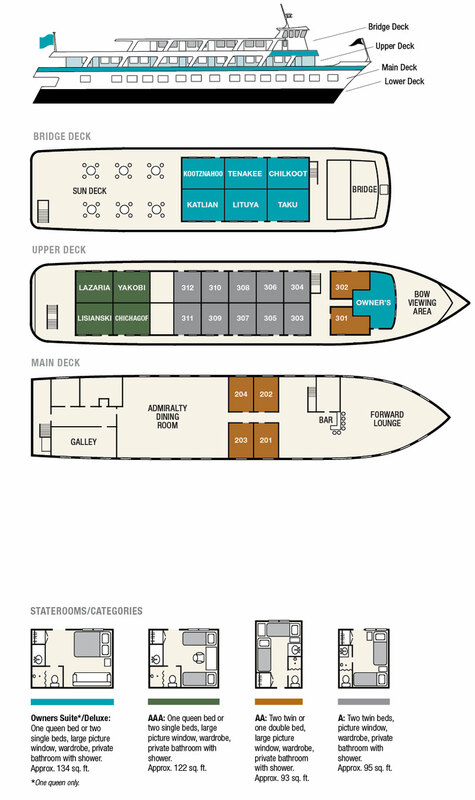 Some options include Thomas Bay, Port Houghton, or Hobart Bay. Day 5 Tracy Arm Fjord Journey through Tracy or Endicott Arm in the Tracy Arm-Ford’s Terror Wilderness, a place the famous naturalist, John Muir, referred to as, “A wild, unfinished Yosemite.” Renowned for its pristine waterfalls, towering icebergs, abundant harbor seals, and granite cliffs that rise from sea level to 4,000 feet, this wilderness is often referred to by locals as one of the most scenic areas in the state. 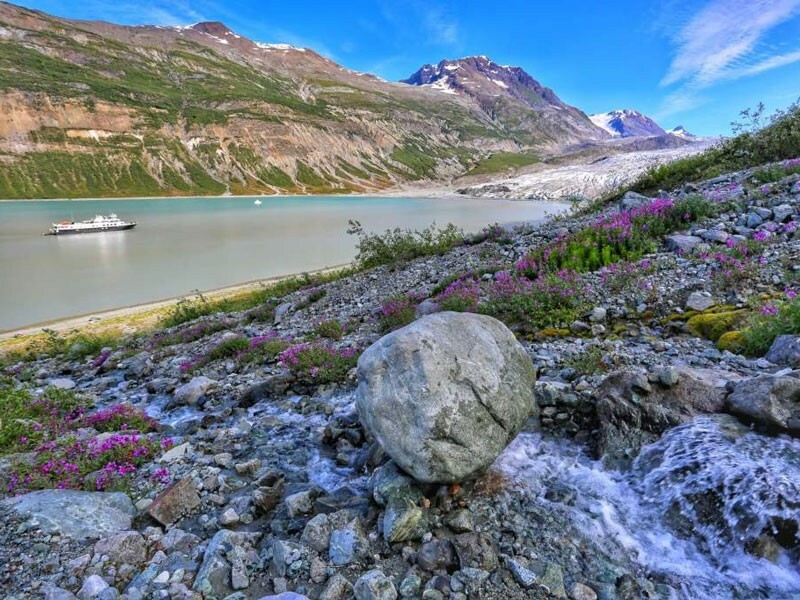 Both of these dramatic glacial fjords offer stunning views of tidewater glaciers. Day 6 True Alaska Exploration & Orca Pt. 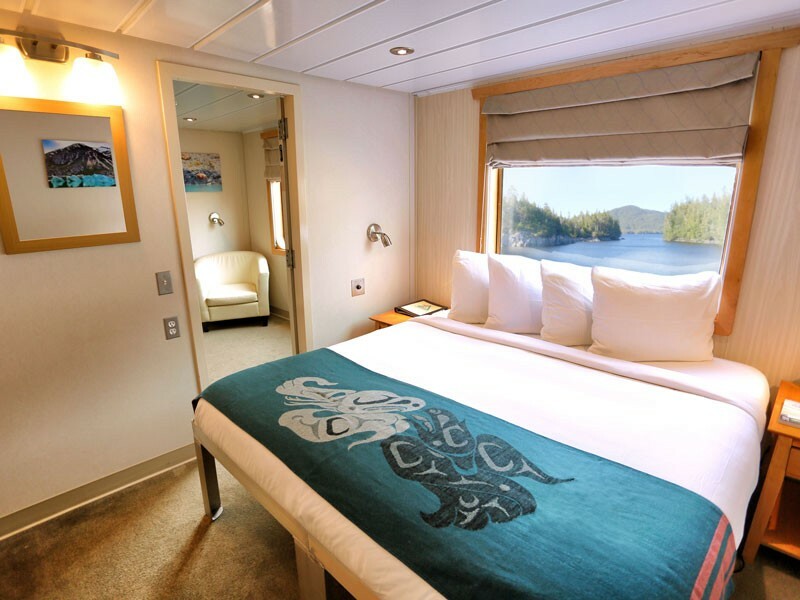 Lodge Savor the serenity of raw wilderness on an unscripted morning and afternoon of Southeast Alaska discovery. The options are countless, dictated by the day’s unique circumstances. 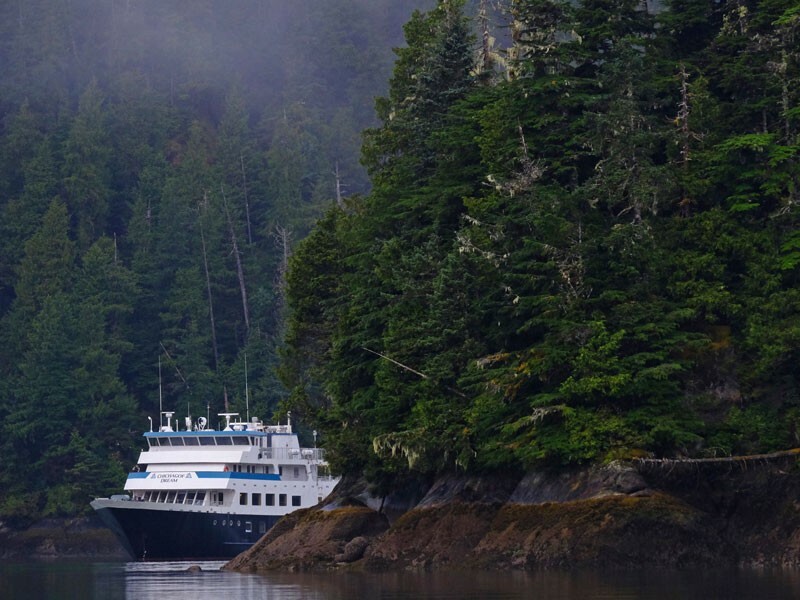 Opportunities may include a coastline kayak paddle, up-close whale encounters, or a hike through an alluring old-growth forest. We may do a beach landing on an unspoiled shoreline to explore a tidal flat or track along with a foraging bear from the safety of our DIB. Regardless of the activity, you’ll experience the magic of the archipelago’s many remote coves, bays, and inlets. End the day’s adventure with a relaxing evening at Orca Point Lodge, our own exclusive day-lodge on Colt Island. Enjoy the beautiful grounds, beach, and marine life touch-tank. 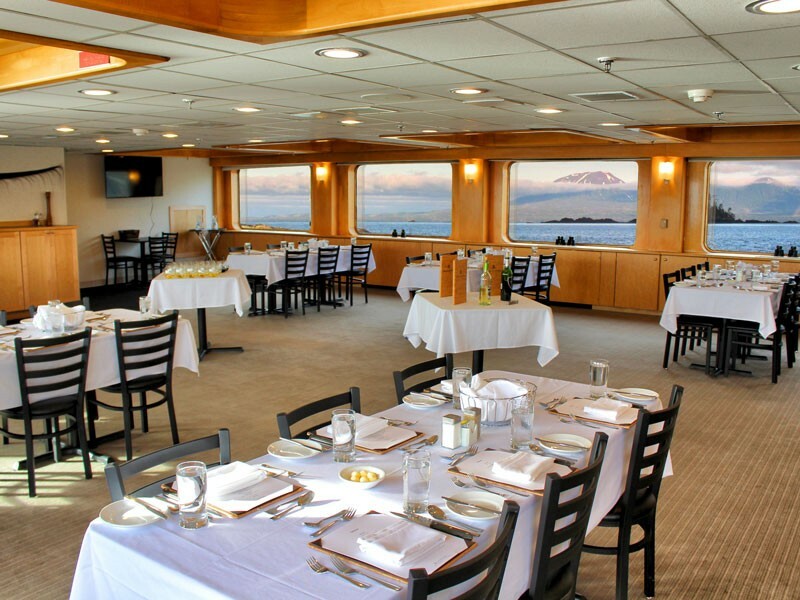 Dine on Alaskan salmon, Alaskan king crab, or prime rib from the warmth of the lodge, or nestled next to a beachside bonfire. 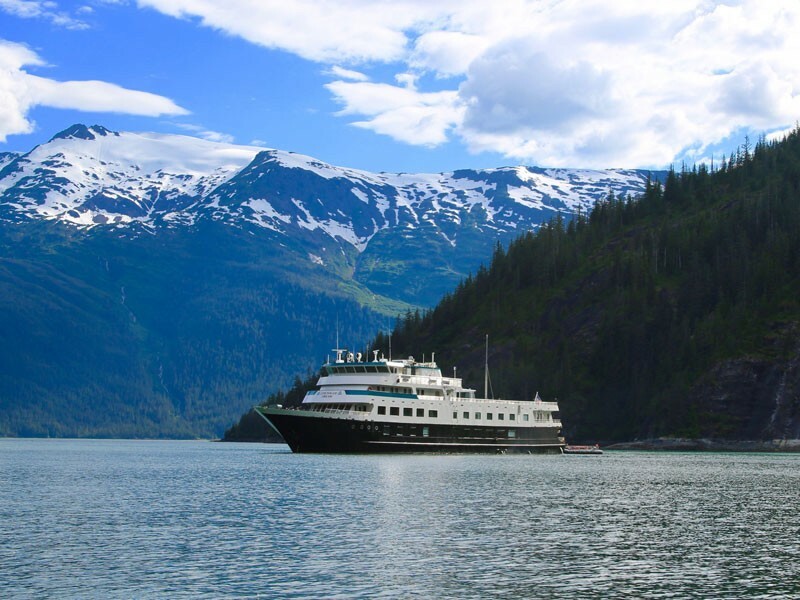 Day 7 Glacier Bay National Park This remarkable national park fjord extends 65-miles, contains eight tidewater glaciers, and provides pristine habitat for a wide-array of wildlife, including both brown and black bears, wolves, mountain goats, Steller sea lions, and humpback whales. 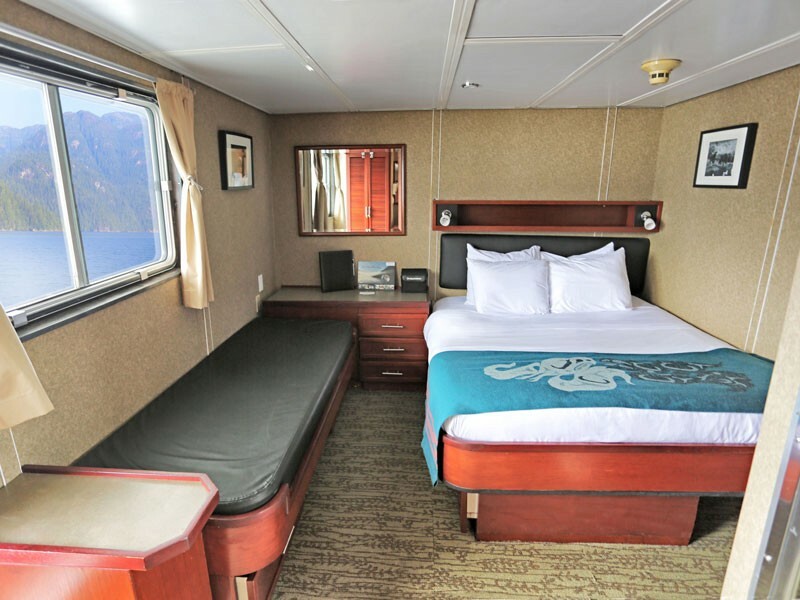 The highlight for many is the Margerie Glacier, known for its dramatic calving displays. A Glacier Bay National Park Service Ranger narrates the day’s program and a Native Huna Tlingit interpretive naturalist joins us to reveal traditional cultural ties to this ancient treasure. Day 8 Juneau - Disembark Disembark in Alaska’s capital city of Juneau. Transfer to the airport or your hotel is complimentary. 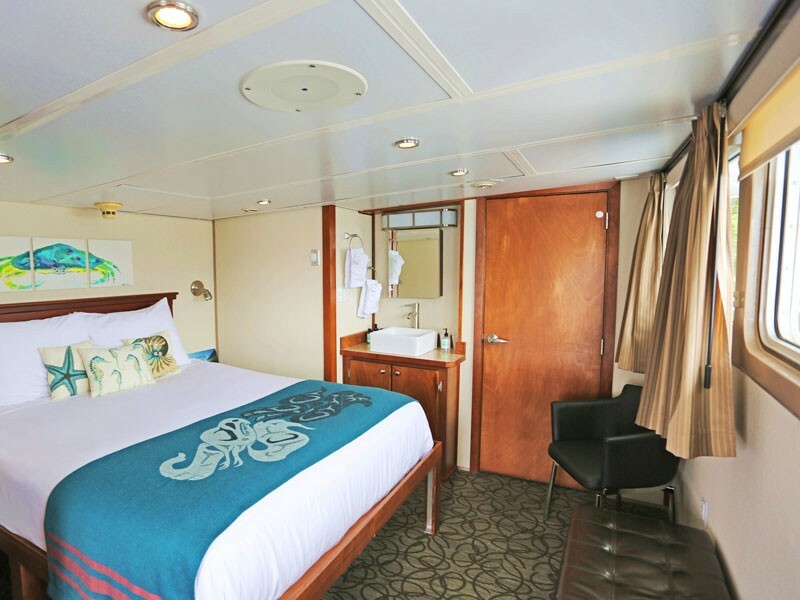 Ground transportation to and from the airport to hotel (downtown hotel) or ship in Sitka, Juneau, and Ketchikan one day prior and day of sailing and the day of departure from the ship. Additionally, ground transportation is provided from the local airport to selected hotels in those cities the day prior to sailing. 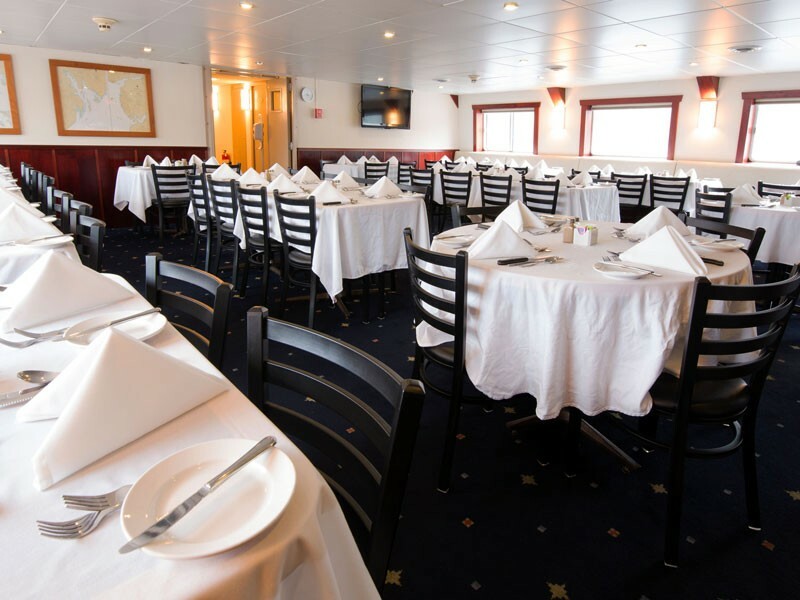 Prices are per person and include all taxes and port charges. 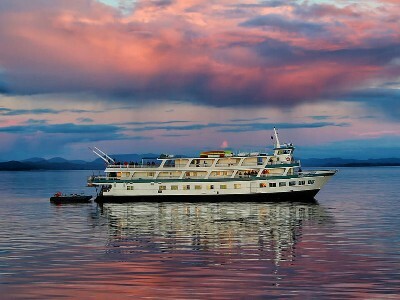 Children age 15 and under receive 30% off listed cruise fares. 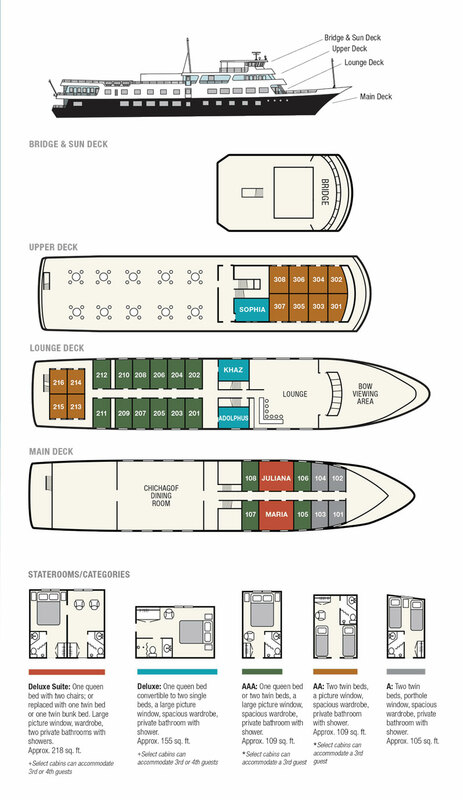 All vessels carry expedition craft that enable us to get even closer to the land and sea. The Demaree Inflatable Boats (DIBs) are rigid bottom inflatables, which are called upon for shallow-water and glacial fjord exploration. These nimble vessels are also used as beach landing craft to allow remote hiking opportunities in areas not accessible to larger craft. 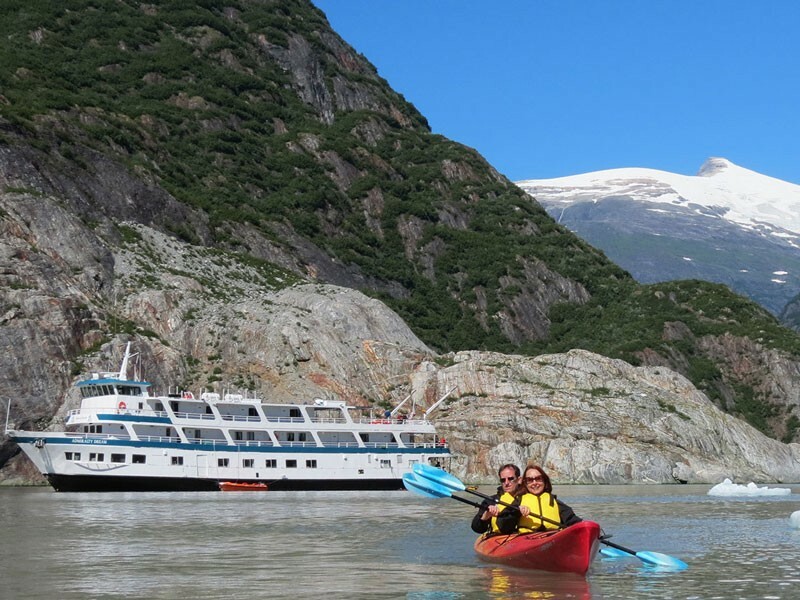 Kayaking is also an integral part of every Alaskan Dream Cruises experience. 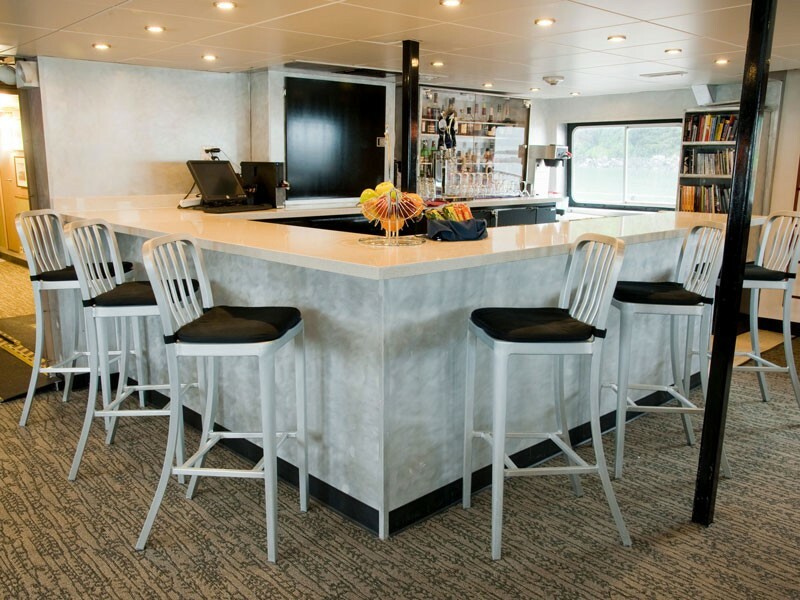 To ensure guests of all skill levels are able to enjoy this exciting activity, we’ve designed custom-built kayak launchers for easy and safe loading and unloading.